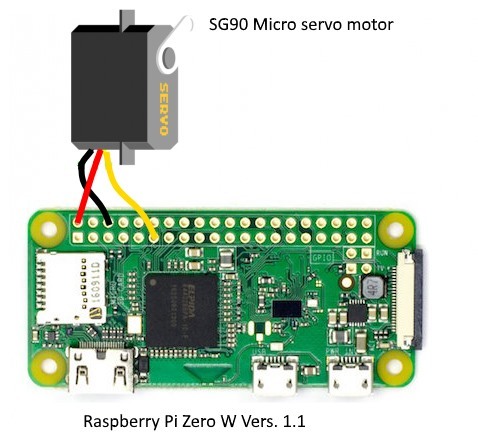 We will learn how to use servo with Raspberry PI Zero W board. Servo is a type of geared motor that can only rotate 180 degrees. It is controlled by sending electrical pulses from your microcontroller. These pulses tell the servo what position it should move to. Servo consists of shell, circuit board, non-core motor, gear and location detection. 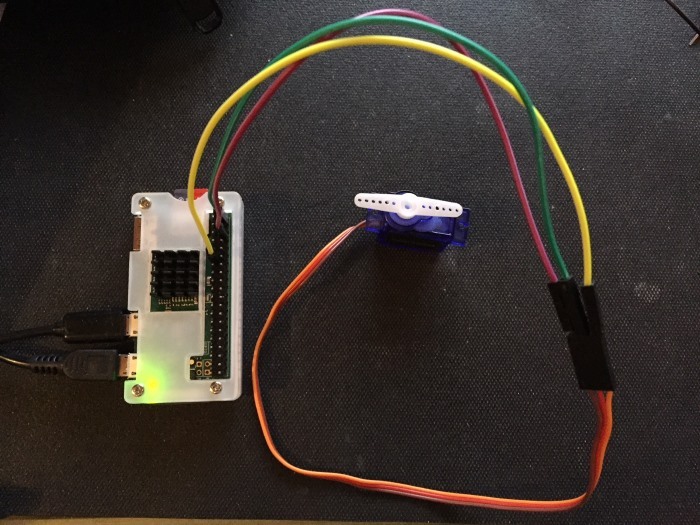 Raspberry Pi controller sends PWM signal to servo motor, and then this signal is processed by IC on circuit board to calculate rotation direction to drive motor, and then this driving power is transferred to swing arm by reduction gear. At the same time, position detector returns location signal to judge whether set location is reached or not. 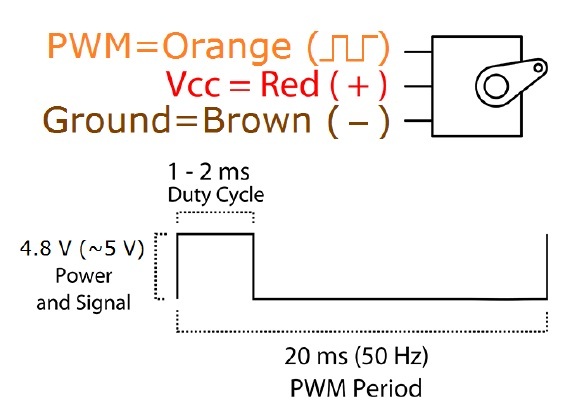 A servo has three wires, the brown wire is GND, the red one is VCC, and the orange one is signal line, as shown below. 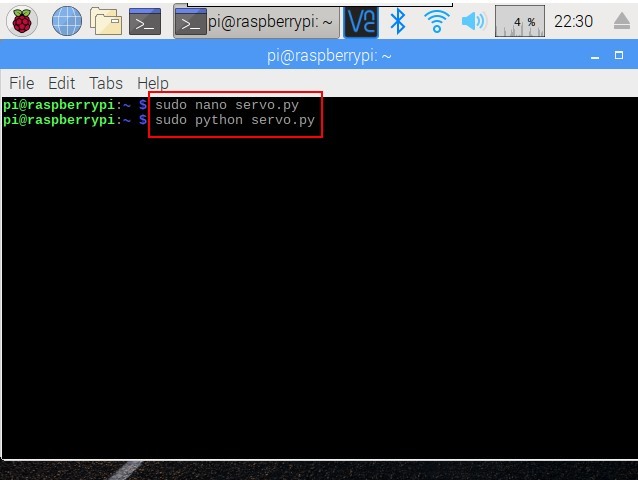 Copy and paste the code from servo.py to opened window. Since it is a Python code, you need to be careful with the Tab characters as it is important to group the instruction as blocks in Python. You can see the servo motor rotates 180 degrees. And then rotates in opposite direction. 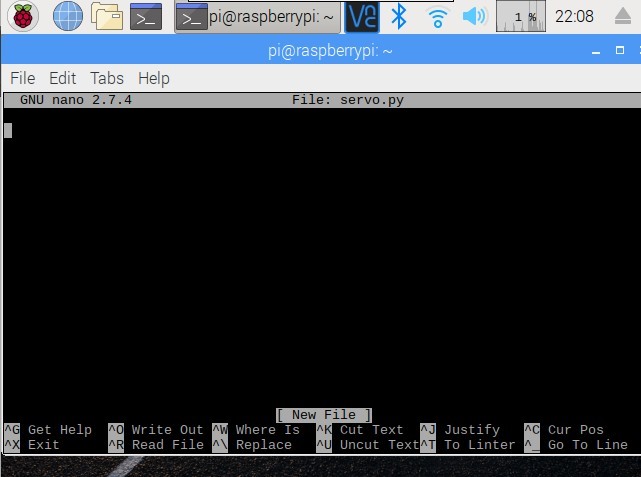 We have learnt how to use servo with Raspberry PI Zero W board. 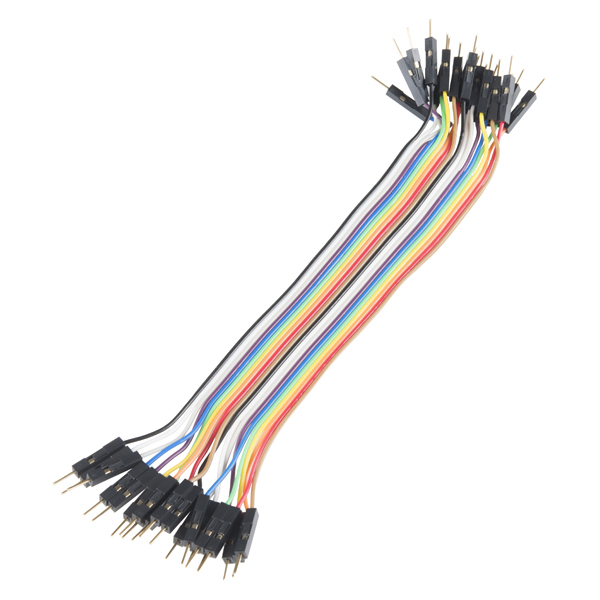 RPi.GPIO. 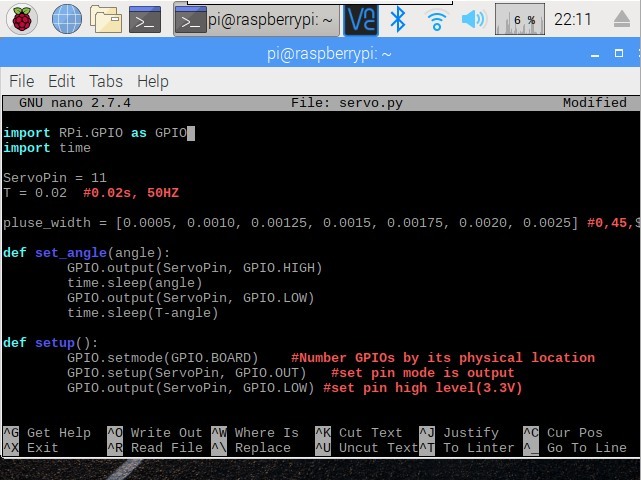 This package provides a class to control the GPIO on a Raspberry Pi.